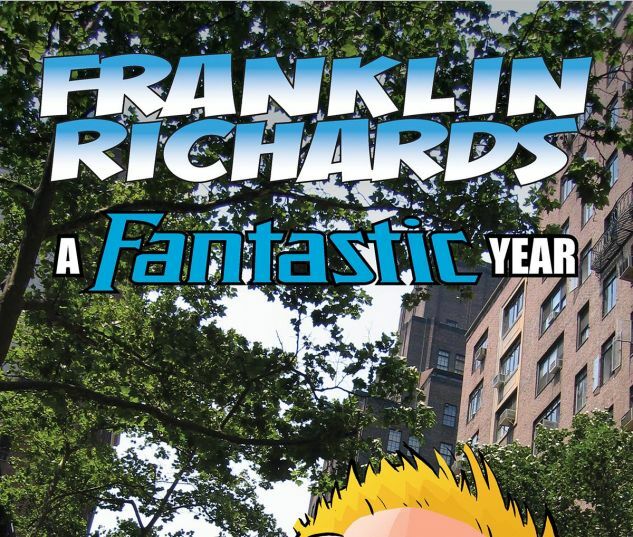 Collects material From Franklin Richards: Son Of A Genius, Everybody Loves Franklin, Spring Break, March Madness!, April Fools!, Sons Of Geniuses, School’s Out!, Super Summer Spectacular, Fall Football Fiasco!, Dark Reigning Cats And Dogs And Happy Franksgiving! 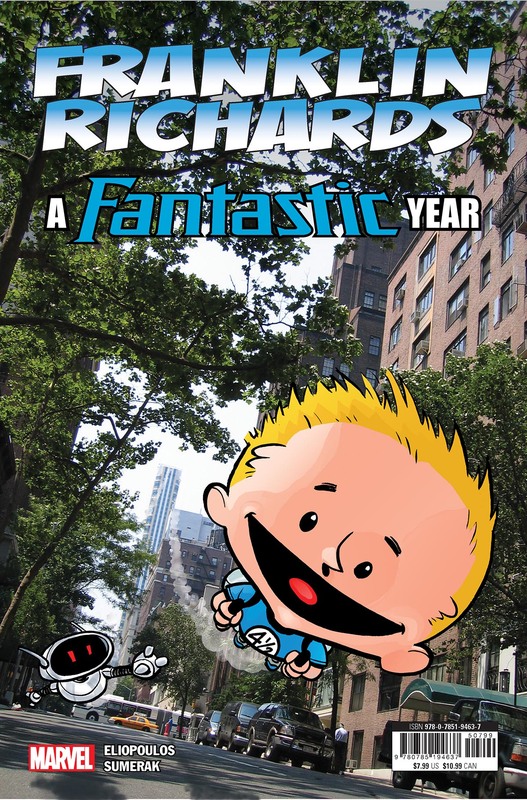 A birthday surprise from his future self kicks off an eventful year for the son of a genius! With best pal H.E.R.B.I.E. 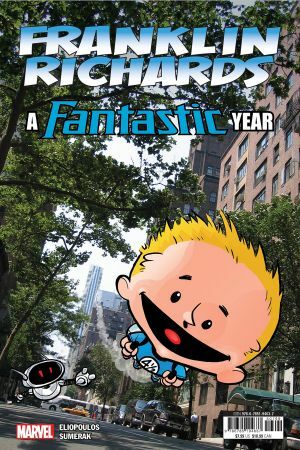 by his side, Franklin Richards loves making mischief with his Fantastic father’s inventions — but can any of them make school go by faster? Katie Power wants to be Franklin’s Valentine as he navigates a basketball brouhaha and an April Fools’ fiasco! But will Franklin’s nemesis Kristoff ruin his summer fun in the sun? As baseball season gives way to football fever, Franklin has tricks and treats planned for Halloween — but he’ll soon find interdimensional turkey trouble and a Christmas time warp!